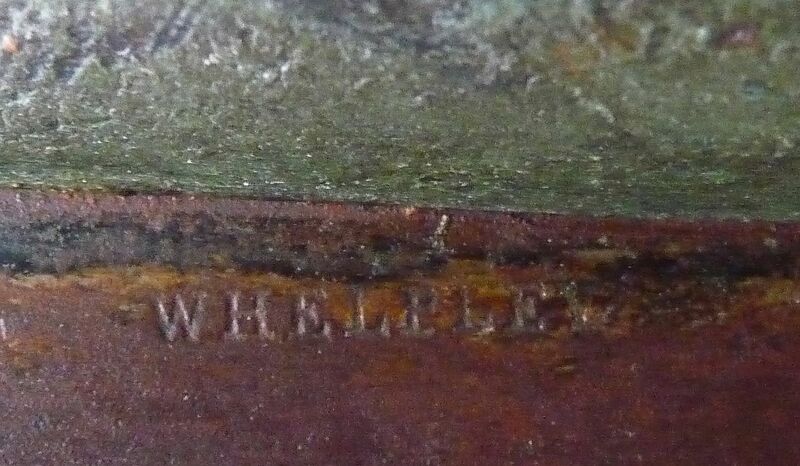 Marked 'Whelpley' on the blade @ midpoint and 'Superior' at the tip. Although tour skating is unknown in Atlantic Canada at present, it seems that long distance ice skating was fairly common in the period 1860-1900 on the lakes and bays of the lower St. John River in New Brunswick. Skating was a practical form of winter transportation and there are reports of people skating on the famous "Long Reachers" skates along the St.John and Kennebecasis Rivers from Saint John to Fredericton (about 130 km) in about 7 hours! The lack of long tracks in Atlantic Canada has been corrected, in the winter of 2010-2011 with the opening of the 400 m ice oval on Halifax Commons. Approximate Dimensions: The blade measures seventeen inches long. 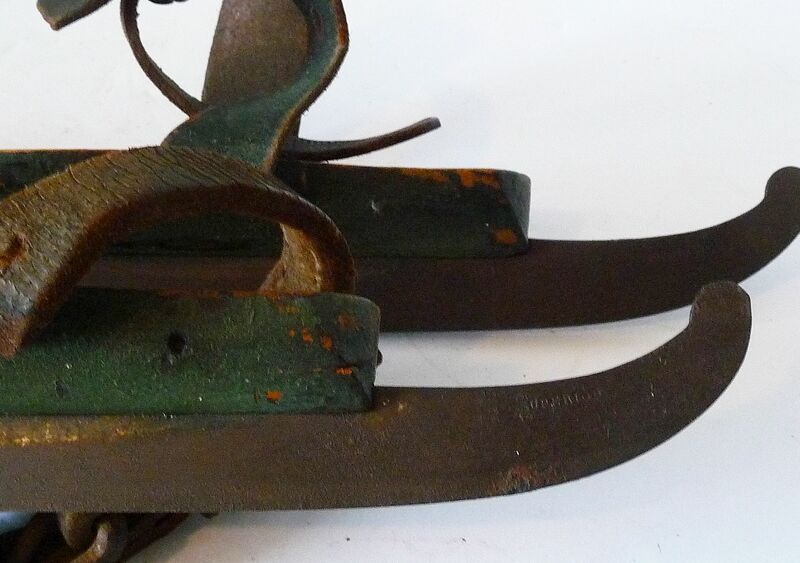 The "woods" of the skates, at the widest point, measured less than an 2 inches. A screw protruded up a half an inch at this point. 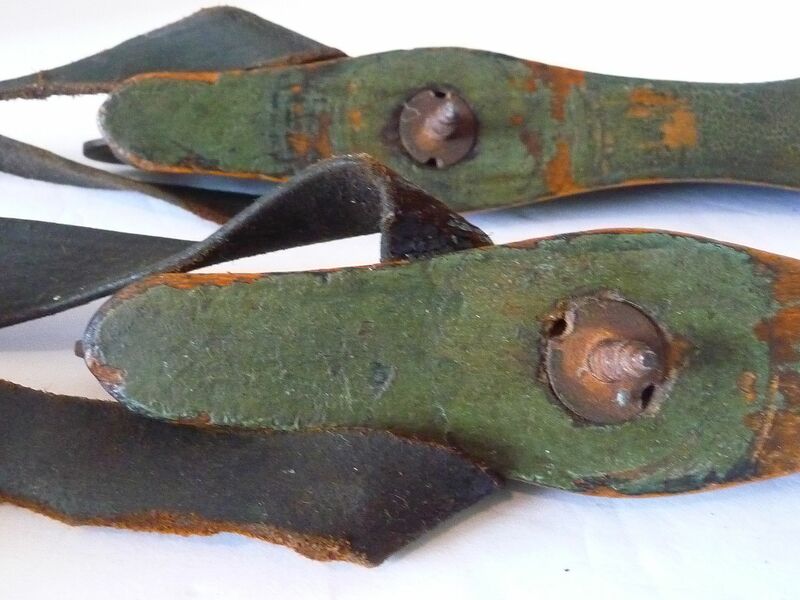 The skates were firm1y attached to regular winter boots with heel and toe straps made of heavy leather (still there). 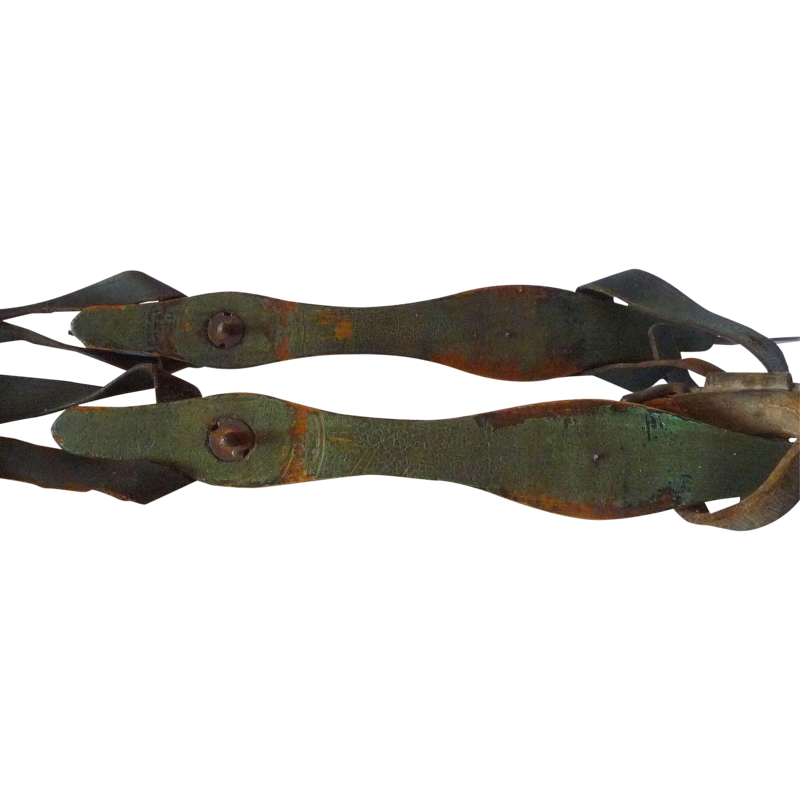 Condition: Original paint and leather straps.